Let’s be honest with this, texting without emojis seems like you are playing a game that lacks aesthetics. And with best emojis, it is not only about the aesthetics but also about adding a natural flair to your texting that adds-on to the meaning you wish to import. Words are powerful and the touch of the right emoji enhances the effect of the same to the other person in the communication. Because of their ability to pass on the right meaning, the trend of using the best emojis is growing. In case you are an iOS User, the emoji game is already on for you. But the Android users lack the advantages the iPhone users have. Apple has made emojis a standard part of the iPhone keyboard. But for Android users, there are no such offerings. Well, different apps like Facemoji are available for Android users that they can install for the similar concern. Third-party keyboards like Swiftkey is also there for the users. But this post is dedicated to helping users (who have older and even newer handsets) to get the emojis on their smartphone. Browse through Wikipedia page for emoji. Reach to the "In the Unicode standard" section. An operating system update is all that it takes to push new Android emoji on any smartphone. In case your Android device is much older it may get difficult to install these emojis. And for the smartphones, running on versions earlier than 4.1, it is not possible to display any kind emoji at all. In case you are wishing to use emoji for texting on one of the older versions, you will require to install a third-party keyboard app along with Hangouts as the texting app to become able to chat with the best emojis on the older versions. Although apps like Facebook and WhatsApp are there for such users and they also eliminate the requirement of using a third-party application. For doing the hangout settings, the users can follow the following steps as prescribed here. Click on the menu button (hamburger menu) on the left-hand side of the screen. Pick Settings > SMS > Turn On SMS. As soon as you are done with the settings, go back to the home screen. Long press the texting app placed at the bottom of the screen, and drag it up to the "Remove" button. The next step is to open the app drawer. Again press and long hold the Hangouts icon in order to drag it to where the texting app was. As mentioned above, there are a number of emoji keyboards that users can use as one of the prominent emoji-compatible keyboards from the Google Play Store, SwiftKey and Gboard are two prominent. In order to turn on the settings, the users need to go through the following settings. The newer version of Android phones support the emojis and thus users have a good time even if they are texting. Some Android smartphones may not support all of the emojis that they received from iPhone users. This becomes a case of concern for the users. But there is a solution to this concern too. The possible reason for this problem can possibly be not upgrading the device to the latest Android version. In case, it is the issues, it is recommended to upgrade to the latest version. In case, an emoji does not appear on the keyboard, it only requires turning on the settings. After that depending upon your device compatibility, you will either get the keyboard (if the above-mentioned settings are applicable for your device) or you will have the option to pick the Google keyboard directly. After that go into preference (advance, as some device name it) and turn the emoji option on. You will get the emoji button (next to space bar) near to your Android keyboard. Android’s emoji game is not as robust as its counterpart’s i.e. of iOS. 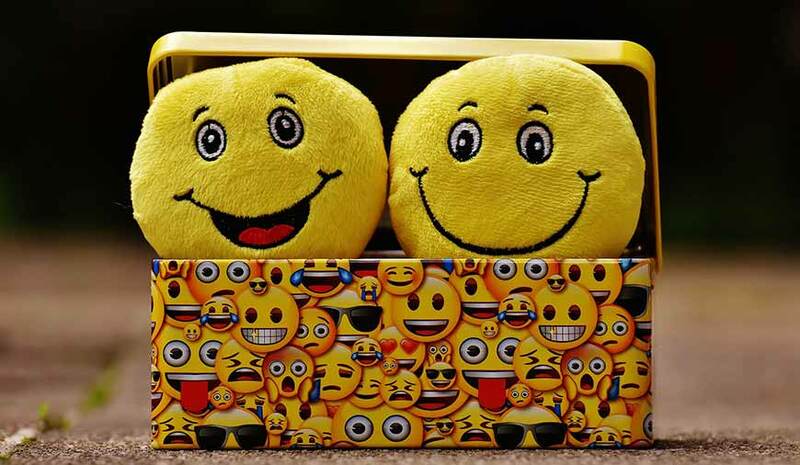 However, the guide explained here is more than enough for any Android user to know everything about the emoji, the third-party apps that provide the best emojis to the users and Android keyboards too that are good to have with Android users when they are looking to make their emoji game prominent enough. We are a huge Android fan and thus we keep our tabs on every move Google takes on its Android emoji game. And, as per our research, Google had been working on improving the emoji compatibility issues for older Android versions too.